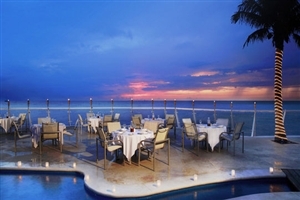 With a privileged location on the oceanfront of Cozumel Island, just off the Cancun mainland, Cozumel Palace is an excellent choice for those seeking a relaxing Caribbean holiday. 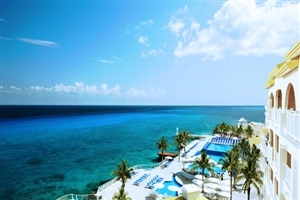 Particularly ideal for those wishing to explore the second largest coral reef in the world, Cozumel Palace offers a plethora of exciting scuba diving, snorkelling and watersport activities. 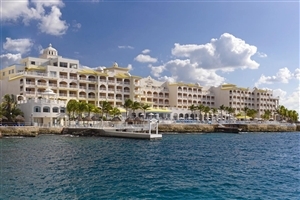 For those wishing to stay on dry land, Cozumel Palace features elegant accommodation, four convivial restaurants and bars, and a sumptuous spa. 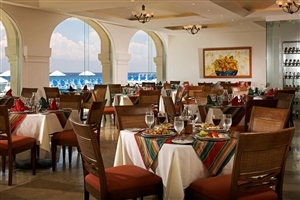 Boasting 175 elegantly appointed guestrooms, Cozumel Palace is certain to impress with its plentiful facilities and superb restaurant options, while children will certainly enjoy the Kids Club and the swimming pools. 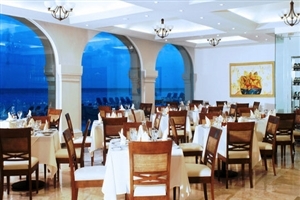 Cozumel Palace is 15 minutes from San Miguel and within close proximity to many of the area’s tourist attractions, including swimming with dolphins. 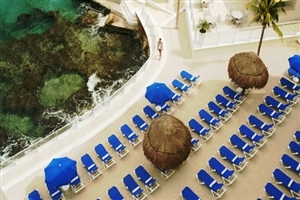 The Standard Deluxe rooms at Cozumel Palace offer a king-size bed as standard, plus impressive city views. 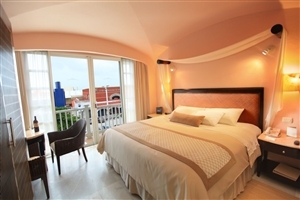 The Ocean View Suite at Cozumel Palace are offered with the choice of a king-size bed or two double beds for up to 4 guests. 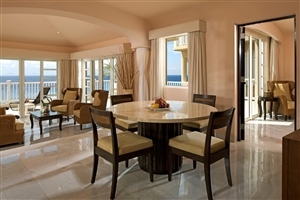 The suite offers gorgeous views of the ocean along with a double whirlpool for added comfort. 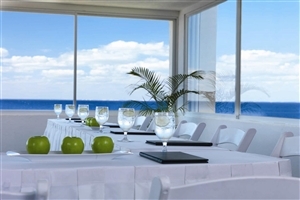 The Ocean Front Suite at Cozumel Palace are offered with the choice of a king-size bed or two double beds for up to 4 guests. 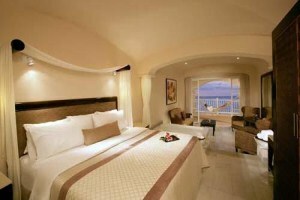 The suite features a balcony with a hammock to enjoy the gorgeous ocean front views. 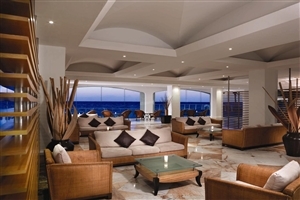 The Concierge Level at Cozumel Palace adds upgraded amenities over the Junior Suite, including a hammock on the balcony, L’Occitane bath amenities, premier liquors, complementary massages, an Espresso coffee maker, DVD and CD player, a beach bag and nightly petit fours. 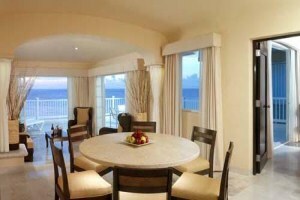 The Loft Suites at Cozumel Palace are two-storey and can accommodate up to 6 guests. 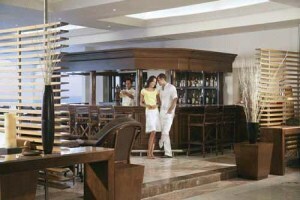 Loft Suites offer the same amenities as the Junior Suites. 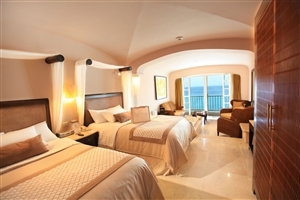 The Presidential Suite at Cozumel Palace offers a master bedroom with a king-size bed and a double Jacuzzi, plus a second bedroom with double beds and a double Jacuzzi. 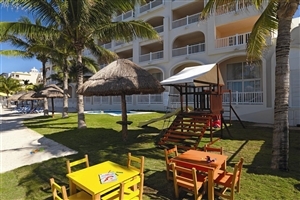 Guests of all ages will enjoy the excellent range of facilities on offer at Cozumel Palace, which includes the on-site spa, swimming pools, watersports and the kid’s club. 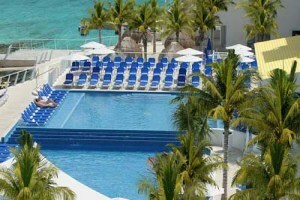 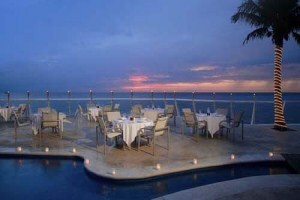 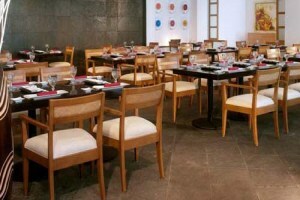 Scuba diving is also available around the Palancar coral reef.